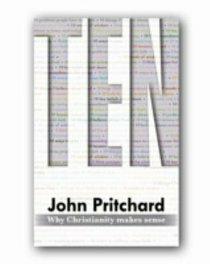 Topics include: - Ten problems people have with faith - Ten things I believe about God - Ten things I don't believe about God - Ten words of wisdom - Ten cliches to avoid - Ten ways to pray - Ten lessons learned This is a great book whether you're sceptical about Christianity, feel there may be something to it, or simply want reassurance - in the midst of life's frequently bewildering moments - that it really does make sense. Right Reverend John Pritchard is the Anglican Bishop of Jarrow, England. He is the author of numerous books, including Leading Intercessions published by Liturgical Press.